Citizens of Europe will from 22 to 25 May 2014 choose their representatives for the next five years. With 751 newly elected Members of the European Parliament (MEPs), Bellona Europa sees renewed spirit to tackle European energy, environmental and climate policy. 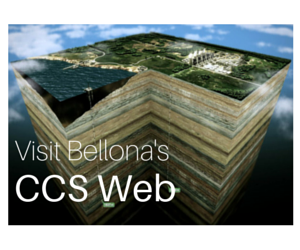 Delivering CO2 capture and storage (CCS) in Europe is, and has been for nearly two decades, at the core of Bellona’s work in Brussels. 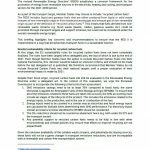 We have therefore compiled a set of policy recommendations for CCS for MEPs and other policy-makers. 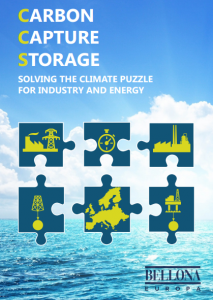 The brochure CCS: Solving the climate puzzle makes the argument that climate change cannot be solved without CO2 capture and storage (CCS). The brochure is also structured like a puzzle, outlining the multitude of reasons how and why CCS plays a part in solving climate change. It was launched on the occasion of Bellona Europa’s anniversary ‘Bellona Europa ‘comes of age’: 18 years of advocating climate action in the EU capital Brussels‘ with Bellona president Frederic Hauge, Norway’s Ambassador to the EU, His Excellency Mr Atle Leikvoll and Vice-Chair of the Intergovernmental Panel on Climate Change (IPCC) Professor Jean-Pascal van Ypersele attending a reception. 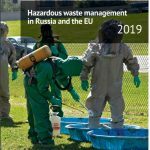 The brochure addresses issues of energy security, industrial emissions, power production, carbon negative emissions with Bio-CCS, storing CO2, industry and job retention, the EU’s Emission Trading System (ETS), transitional measures, public engagement and the low-carbon dialogue. A massive expansion of renewable and regenerative energy is imper­ative to halt runaway climate change. As is a steep reduction of ener­gy demand through energy efficiency investments, energy storage and smarter infrastructure. But we know this will not be enough. A massive and swift deployment of CCS is required to abate the emissions of our continued use of fossil sources. CCS in combination with sustainable bioenergy, so-called Bio-CCS or BECCS, can also deliver negative emissions, thereby removing excess CO2 from the atmosphere over time. This will be necessary to compensate for our inability to abate emissions quick enough. The recent IPCC 5th Assessment Report clearly stated the need for both CCS and Bio-CCS. Bellona’s recommendations to the new European Parliament touch on several issues, from energy security to job retention, but they all center on CCS. The reason for this is simple: CO2 emissions are the greatest threat to our climate and only CCS will provide the bridge between our current unsustainable condition and our destination of a low-carbon society. EU Member States with high exposure to energy imports or high levels of indigenous fossil fuels like coal, such as Poland, must prioritise CCS in both EU and national energy policies. Set a sufficiently strict emission performance standard (EPS) in Europe to drive low carbon power with CCS deployment. Engage with nations beyond Europe that are investing in CCS, notably Canada, the U.S., China, South Korea and South Africa, to seek best practice exchange on both technology and policy as well as public engagement. Some CO2 emissions from industrial processes are unavoidable. Develop CCS in energy intensive industry through CCS clusters: Plan and deploy CCS for energy intensive industries in parallel with fossil fuel power generation and attain economies of scale for CO2 transport and storage. Deliver a sustainable, holistic and progressive bioenergy policy for Europe. 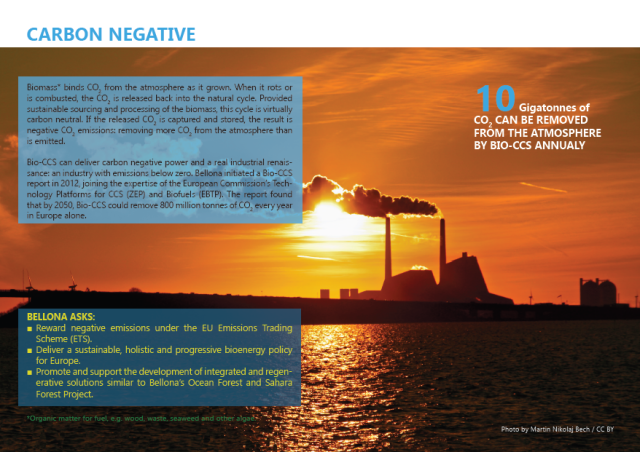 Reward negative emissions under the EU Emissions Trading Scheme (ETS). Promote and support the development of integrated and regenerative solutions similar to Bellona’s Ocean Forest and Sahara Forest Project. Rapid and strategic development of ‘bankable’ North Sea CO2 storage capacity with affordable CO2 from industrial sources that can be transported via ship to a network of CO2 storage sites. Implement a framework to assist development of pilot and commercial scale CO2 for enhanced oil and gas recovery (EOR, EGR). 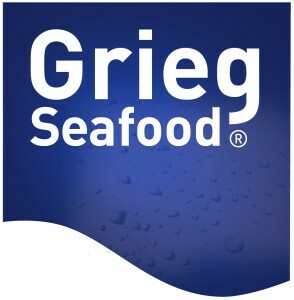 This can be achieved through preferential taxation, grants and legal requirements for action. 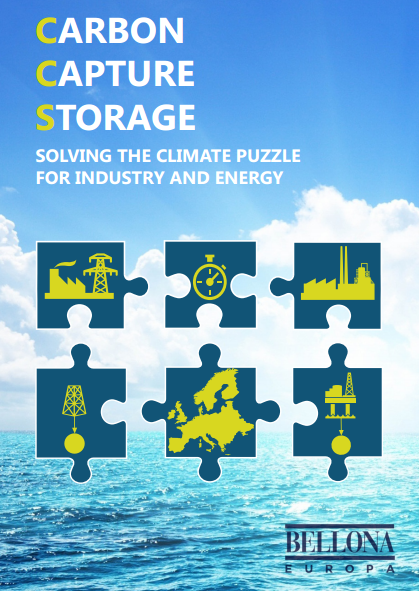 Set an ambitious EU target for CCS deployment to aid the development of skills , technology and CO2 storage capacity. Introduce measures such as binding EU and/or national targets delivered through e.g. a certificate system. Integrate CCS in relevant policy, from the CCS Directive to wider policy initiatives such as the 2030 framework, ETS reform and energy security. Take steps to integrate the true societal and environmental cost of CO2 emissions. Deliver a structural reform of the EU ETS, entailing the establishment of an independent European Central Bank of Carbon that would allow the system to respond to unpredictable changes in CO2 demand, thereby safeguarding the effective functioning of the market. Build societal confidence to further the deployment of CCS technologies and renewable energy sources. Develop national short and long term climate action plans in each EU Member State and a European vision towards a low-carbon society.